Officials at the signing ceremony held in Abu Dhabi. UAE-based Aldar Properties has announced the launch of Aldar Investment Properties, the region’s largest diversified real estate investment company, which has been mainly designed to drive greater operational and capital efficiencies that will unlock value for shareholders and create the foundation for a new phase of accelerated growth. This comes following the recent Abu Dhabi Executive Council decree, extending full onshore real estate ownership rights to Aldar Properties and its subsidiaries in the emirate. The company will take ownership of some of Abu Dhabi’s highest quality, revenue-generating real estate assets, valued at Dh20 billion ($5.4 billion). The creation of Aldar Investments allows Aldar to spin off its recurring-revenue assets into a 100 per cent-owned separate entity, with greater independence, focused governance and a more efficient cost structure, said a statement from the UAE developer. Aldar Investments operates under the direction of its own Board, allowing greater transparency, governance and clarity around its cash flows, profit and dividends, while reducing operating and capital costs to enhance profitability, it stated. Incorporated through Abu Dhabi’s international financial centre, Abu Dhabi Global Market (ADGM), Aldar Investments features attractive recurring revenue assets including over 5,000 residential units and over 500,000 sqm of prime retail and commercial space, said the Emirati developer. These include some of Abu Dhabi’s most recognized assets such as Yas Mall, Aldar HQ and The Gate Towers & Arc, and over 2,400 hotel keys, predominantly on Yas Island, it added. As an immediate endorsement of its financial strength, Aldar Investments has been assigned a Baa1 rating by Moody’s – the highest rating for a non-government corporate in the region and one notch above Aldar. Aldar Investments can access capital on more favourable terms, independently of Aldar, and intends to issue a new sukuk in the near term. Aldar Investments has set formal debt and dividend policies consistent with the current asset management business providing further clarity for investors, said the company statement. Commenting on the move, Chairman Mohamed Khalifa Al Mubarak, said: "Since its establishment in 2004, Aldar has made significant contributions to the development and maturation of Abu Dhabi’s real estate industry, developing and managing some of the emirate’s most iconic properties." 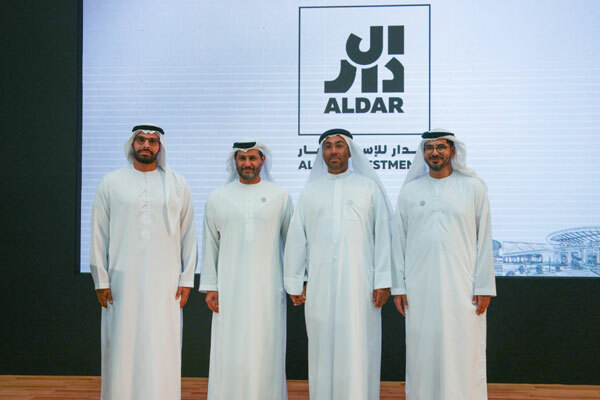 "Today, it is an honour to announce another significant milestone in Aldar’s history, the launch of Aldar Investments - the region’s largest diversified real estate asset investment company. As the owner of Dh20 billion of prime real estate assets, Aldar Investments provides an opportunity for investors to benefit from Abu Dhabi’s AA rated economy," he added. According to him, Aldar Investments’ strategy was to deliver attractive returns to shareholders through investing in a diversified portfolio of real estate assets across the UAE. "It will achieve this by maximising the performance and value of its portfolio, pursuing investment opportunities by acquiring income producing assets, and redeploying capital in higher yielding assets where it can drive value. Aldar Investments will actively assess opportunities to expand its asset base beyond traditional real estate asset classes to ensure it leverages key real estate market trends," he stated. CEO Talal Al Dhiyebi said: "Aldar Investments allows us to accelerate growth opportunities and unlock value for shareholders. It is the latest of a series of initiatives that demonstrates Aldar’s leading role in Abu Dhabi’s real estate industry and builds on significant milestones including the strategic partnership with Emaar and acquisition of assets from TDIC." "Building on this positive momentum and the maturity of our portfolio, we have now created a highly attractive real estate investment vehicle. We believe Abu Dhabi’s real estate industry offers a compelling investment case, bolstered by a strong macroeconomic backdrop, commitment to growth and attractive real estate yields," noted Al Dhiyebi. Ahmed Al Sayegh, the chairman of ADGM, said: "We are pleased to welcome Aldar Investments, the Middle East’s largest diversified real estate investment company to its extensive and growing ecosystem. The launch of Aldar Investments marks a milestone for Abu Dhabi’s real estate investment sector and strengthens the UAE and wider region’s progress towards economic diversification and growth." "We are delighted that ADGM is continuing to be utilised not only as a platform for international business, but also to support our domestic businesses in their ongoing development and expansion," he noted. Aldar said the creation of the investment firm comes at a time when the Abu Dhabi government is demonstrating its commitment to adding fresh impetus into the economy through the recently announced Dh50 billion economic stimulus package.